In the last four months, the Trust has supported environmental education at the Cherry Centre, Moorpark, Renfrew. 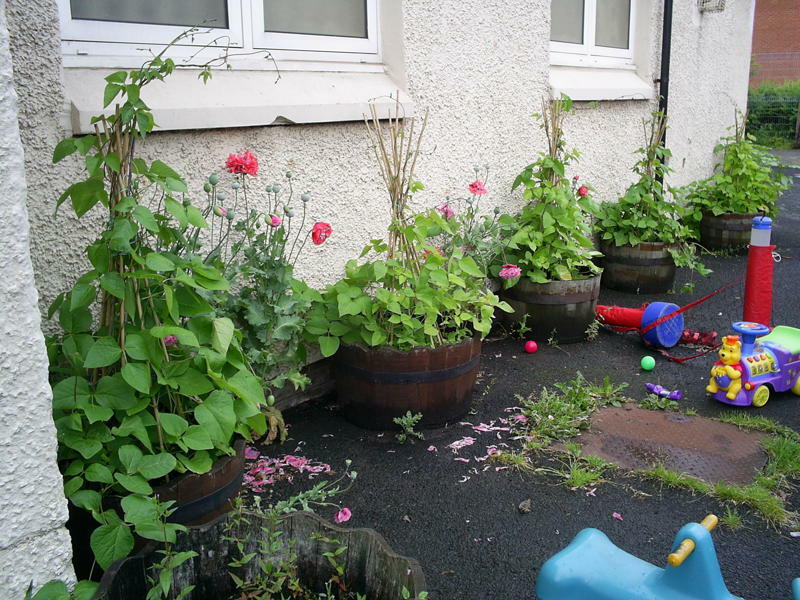 The Grow Your Own project focused on runner beans and sunflowers. This involved children from day care services. New shrubs and flowering plants for containers were also purchased and planted with input from staff and volunteers.